Opened November 2014, in the heart of Preston is our second site, located on church street just a short walk up from the high street and located in the bustling restaurant and bar area. 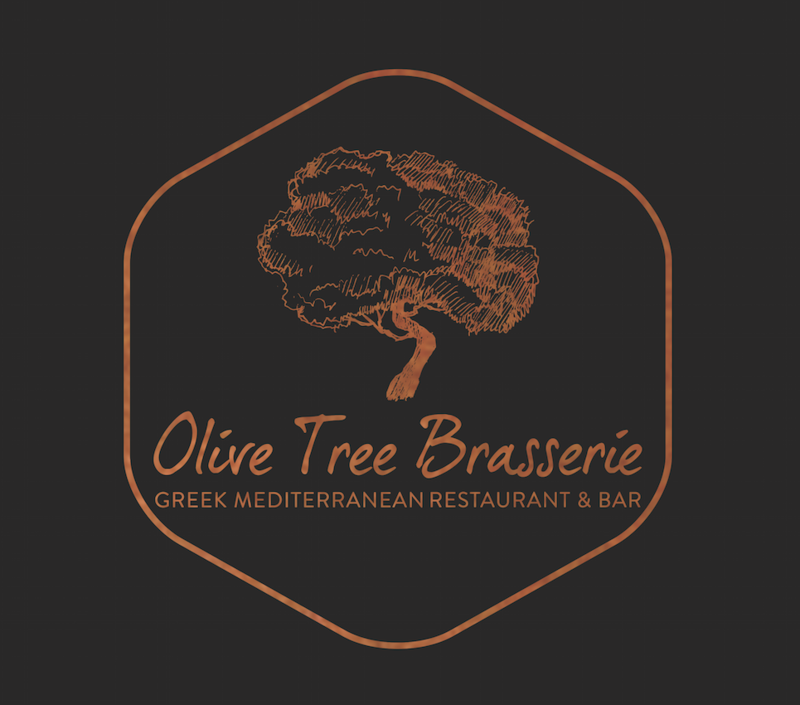 The restaurant has an open kitchen in full view of diners, cooking only the finest dishes using both local and Greek ingredients including two char-grills for all our souvlaki specialties and more. I booked a visit to your Preston brasserie after finding the restaurant online. This was a business meal with colleagues as we were visiting a client near by and we were not familiar with the area. On arrival, the restaurant was rather quiet, 6 tables sat maximum. We ordered our drinks rather quickly after being sat however they took around 20 minutes to arrive, this was a particularly long time to wait given the emptiness of the restaurant. We were not told on the delay for drinks and had to await for them to arrive before we ordered our meals. We had ordered 2 mixed starters to share and waited another 25 minutes for these to come out, when the starters arrived we had all finished our drinks but were not offered another round and our waitress was barely visible for the whole meal. The starters were nice however we then waited another 25 minutes again for our mains. In total our mains come out 1 hour 10 minutes in to our visit. One of my colleagues ordered the shrimp and scallop kebab however was given the tiniest bits of scallop I have ever seen. This was one of the most expensive dishes on the menu. We asked for the manager who politely took this off of our bill however we then had to remind him that we still had only had 1 drinks order the whole hour and 10 minutes we were there. All in all, we went to your restaurant to have a good meal between colleagues and would have spent a lot more on drinks if offered however getting the attention of our waitress was near impossible. The value for money for the main courses were completely distorted, the kebabs were small across the board and not worth spending near £20 on. This was a disappointing visit and spent most of the time apologising to my colleagues for choosing your restaurant in the first place. Luckily we do not plan to visit Preston in the near future and if I did, I will ensure I stay far away from your restaurant. Unfortunately we had a really underwhelming meal here. Our starters were lukewarm and the prawn starter didn't have any feta cheese in. The wine was warm too and took too long to cool down in the ice bucket, white wine should come to the table cold. My boyfriend was asked 4 times what he would like with his Seabass because the potato bake had ran out, he said roast potatoes each time but was given chips. £19 for fish and chips isn't reasonable (thank you for taking this off our bill). I wasn't aware that the butternut squash and goats cheese filo pastry came with cold potato salad (this may be my fault though, I can't remember if it said it on the menu but I don't think I would've chosen it if I had known) and it was burnt and crispy where it had been reheated too much on the ends (it was clearly a tray bake which was pre made and then reheated on order). I didn't voice this complaint with my dish in detail because to be honest I couldn't be bothered by that point but I did say I was underwhelmed with it. I also know the table next to us had a lot of problems too and were complaining. I completely understand being busy and things getting lost in communication etc but I didn't like the way the waitresses were blaming it on other people and the kitchen. I did really like the pita breads and dips though. Thank you for leaving us a review. I’m so sorry that you experienced issues on your evening and I can assure you that this is not our normal level of service. We did experience a few issues on this night however There is no excuses for the level of service you recieved. Please give us the opportunity to redeem ourselves by inviting you back. I will be in contact with you very shortly. As a caveat I have eaten here before and have always found the food and service to be good, however my most recent visit can only be described as diabolical. Food - we ordered tzatziki and pitta with our starters when it came we had been given hummus. Two of us chose the halloumi for starters which according to the menu should have been grilled, it wasn't it was fried. We were told one of our orders could no longer be made because they's dropped the last tray of lamb on the floor, yet a lamb souvlaki turned up...? I'd ordered a chicken souvlaki to come with the courgette fries, when it turned up it had ordinary fries, I sent it back and it came back with halloumi fries. All three souvlaki's turned up without all of the components specified on the menu. Service - we were stood at the front desk for a while waiting to be seated with many members of staff walking past us or looking at us before the supervisor eventually came over. The service generally was really slow. Some of the staff seemed a bit confused when we told them about the food not being what we had asked for. After everything had gone wrong though the staff were incredibly apologetic and it had clearly been a night where a lot had gone wrong for them and they did well in managing however it shouldn't have gotten to the point it did. During our meal, one table and walked out without paying and another were in a similar position to us where they paid for the starters and drinks but didn't stay for the mains because of how terrible an experience we received. Overall it was a really disappointing evening, particularly as we were there to celebrate an engagement. I don't believe the experience we had is a true representation of the normal standards so we would be willing to give it another chance especially as I have been before and have normally enjoyed it. Thank you for taking the time to leave feedback on your recent visit. I can assure you that the service you received on your visit is not our normal level and i’d Like to apologise on behalf of all the team for the issues you experienced. Please allow us to invite you back so that we may redeem ourselves. I will be in contact shortly. Mistakes were made by your staff. I’m so sorry your cost was not up to our usual standard and I can only apologise. Please let me invite you back so that we may redeem ourselves. I will be in contact shortly. Had a lovely Mothers Day meal with my husband and son. Staff and food were amazing. 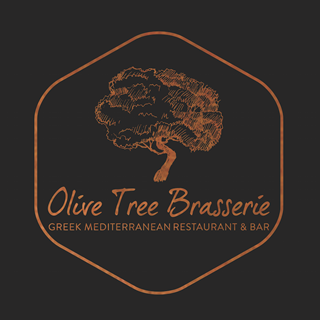 Thank you so much for taking your time to review us here at Olive Tree Preston. We thank you very much for your kind words and are so happy you experienced the high level of service we aim to achieve every time here. We hope we can see you again in the future. Thankyou for your feedback regarding your recent visit. I’m so sorry to hear you experienced some issues and I can assure you that this is not our normal level of service. I will investigate what happened during your visit nd I hope this does not deter you from visiting again. Only thing I could comment on would be the amount of different waiters we had come to the table over the duration of our visit. Personally would of preferred just one waiter but overall a great experience. Thank you for writing some feedback for us i apologise about several waiters serving you on your visit, we hope to see you again soon. This was my first visit and I will be back. Lovely food and Great service who could ask for more. Thank you so much for your kind words! It's great to hear that you enjoyed your experience with us so much . Thank you so much for providing us with some feedback. I am very pleased to hear that that you found your dining experience great and would recommend us. However very  sorry to hear that you had to wait a while for your desserts to arrive. We are looking into this matter as a case of urgency. I hope this hasn't put you off revisisting us. Hope to see you again very soon. We hope this did not reflect to negatively on your experience and that everything else was up to the high levels of service we aim to ensure throughout all visits. We promise this will not happen on your next visit to us. Waitresses were very clumsy and just plonked the plates down rather than taking time to present the food..  this would be a simple thing to change and would provide a more ‘high end’ feel..
Also the floors are always ‘greasy/slippery’, I fed this back previously but no improvement- surely it’s a safety issue.. Thank you for your feedback. I am sorry to hear that there were a few issues you felt on your last visit. I will investigate the service of food with the team and ensure that any servers who are not respecting the food and placing it down will be re-trained. I will pass on your comments regarding the door and suggestion of a curtain to our owner who is always looking for ways to improve. I can assure you that we do mop our floors daily but I will also feed this back again for you. Thank you for taking the time to review our restaurant. We are sorry to hear your service on Saturday evening was not to the high standard we usually give. i am glad to hear that you enjoyed your food with us and i will pass your comments onto the chefs. We do hope to see you back soon. Nice evening with excellent service. Thank you for such an excellent review. We're truly delighted you enjoyed both our food and service. Look forward to having you join us again. Thankyou so much for your fabulous feedback. We're so pleased you enjoyed your visit. Hope to see you again soon. Thankyou for your review. The Meze Monday's are a new thing we're trialing and we're so pleased you enjoyed it. We do this every Monday. We look forward to seeing you again! - Lots of items we wanted to order from the menu were unavailable, and we weren't advised this until after we had spent 10 minutes looking at the menu and had decided what we wanted. Thank you for taking the time to leave a review. I'm sorry to hear that the service you received on this visit was not up to our usual high standards. Occasionally we do run out of items but your absolutely right, you should have been informed on arrival and this is what the team are trained to do. Please could you contact me on [email protected] tree brasserie.co.uk with a description of your server so that I may investigate this further so this does not happen again. I am pleased however that you found the food delicious and drinks were good. We hope to welcome you back again so we can restore your faith in us. Thankyou for writing this review and i am thrilled to hear that you enjoyed your visit, We look forward to seeing you again soon. Great food and cocktails and fab service. We will definitely be back. We much appreciate you spending time to write this review for us and we look forward to welcoming you again soon. Thank you for your review. It’s great to hear you enjoyed your visit with us and found our prices reasonable. Hope to see you again soon. Fantastic food and great service. Highly recommend the lamb souvlaki (Arni), it melted in my mouth. thank you for your fabulous review. We're so pleased you enjoyed both the food and service on your visit. I agree the Arni Souvlaki is delicious. If lamb is your thing next time try our Arni Kleftico, slow roasted and falls off the bone. We look forward to seeing you again soon. Thankyou for your lovely review. We're delighted that we could get it just right for you. I will pass on your well done to the whole team. Fantastic evening. Very attentive staff and lovely food. Very happy. Thankyou so much for your kind feedback. We're delighted you enjoyed your evening and found our staff attentive and food lovely. Thank you for your short but sweet review. We look forward to seeing you again.